Image Courtesy of Cleveland L. Sellers, Jr.
Cleveland Sellers was born on November 8, 1944 in Denmark, South Carolina. Cleveland became interested in the Civil Rights Movement with the murder of Emmett Till in 1955. In 1960 at 15, he organized his first sit-in protest at a Denmark, South Carolina lunch counter, just two weeks after the infamous Woolworth’s sit-in in Greensboro, North Carolina. Sellers’s enthusiasm for the movement was tempered by his father’s adamant opposition to his participation. Sellers entered Howard University in 1963 and concentrated on his studies in compliance with his father’s wishes until his sophomore year. In 1964 he returned to protest activity and joined Student Nonviolent Coordinating Committee (SNCC) In 1965, Sellers became the program director of SNCC after his successful work with the voter registration in Mississippi. Cleveland Sellers marched across Mississippi in 1966 after the attempted murder of James Meredith. It was during this march that he met the Dr. Martin Luther King, Jr. and formed a lasting friendship. Sellers was also part of the crowd when “black power” was first shouted and SNCC then changed its direction to assume a more aggressive approach to fighting racial discrimination. In 1966 Sellers become one of the first SNCC activists to refuse to be drafted into the U.S. military as a protest against the War in Vietnam. By 1967, Sellers returned to South Carolina. In 1968 he was arrested for allegedly instigating the confrontation between protestors and police which resulted in the death of three student protestors. The incident became known as the Orangeburg Massacre. Tried and convicted on the charge, Sellers would spend several years in prison. During that time, he wrote his autobiography, The River of No Return, chronicling his life and involvement with the civil rights movement. After prison, Sellers finished college and completed his Ed.D. at the University of North Carolina, Greensboro. He also ran unsuccessfully for office in Greensboro, North Carolina while aiding the 1984 presidential campaign of Reverend Jesse Jackson. 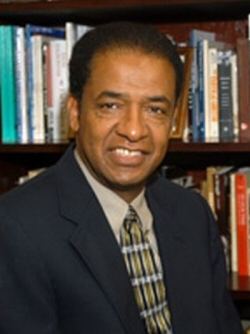 Sellers is currently the Director of the University of South Carolina’s African American Studies Program. Cleveland Sellers, The River of No Return (New York: William Morrow & Company, Inc., 1973); http://www.depauw.edu/news/index.asp?id=13829.